Pocket Size Appraisal Pads 4" X 7". 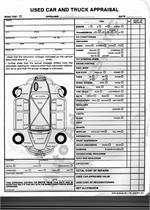 Used Car Appraisal Form, Fits Easily Into Your Pocket. 2 Part Form. Sold Individually. Used Car Appraisal Pad. Sold In 50 Sets Per Pad. 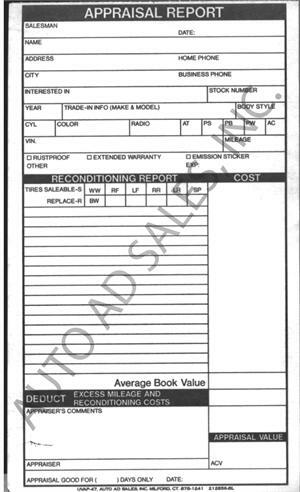 2 Part No Carbon Required..
Used Vehicle Appraisal Forms 81/2 X 11"
N.A.D.A. 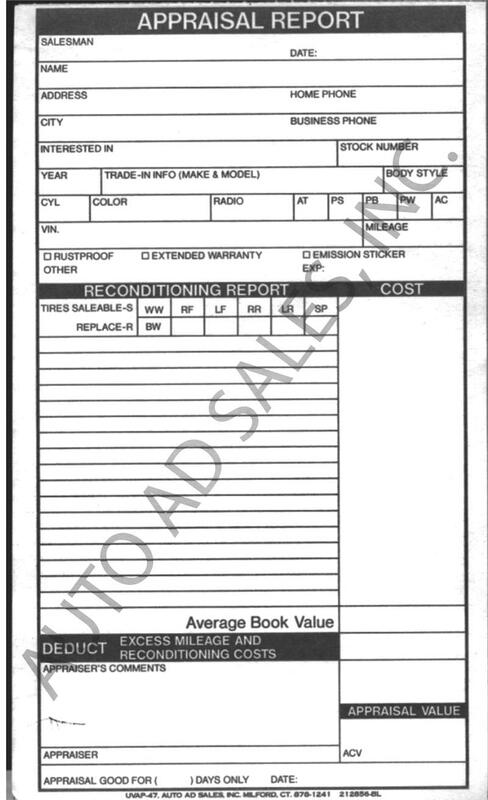 Used Car Appraisal Guide, N.A.D.A. 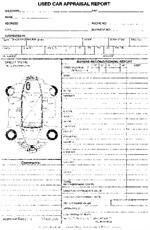 Older Car Appraisal Guide, Galves American and Foreign Car Guide, Galves Light Duty and SUV Wholesale Guide, and Galves Older Cars Wholesale Guide Books.